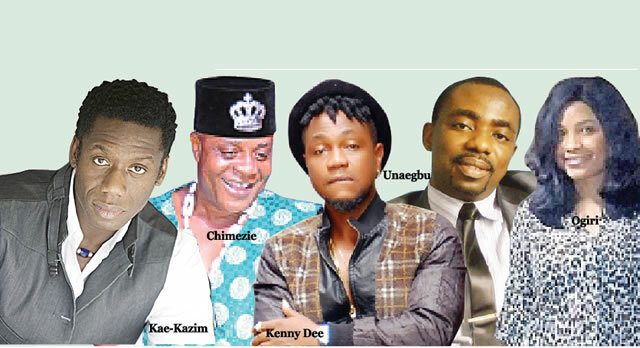 Nigeria At 56: Popular Celebrities Born On October 1. As Nigeria adds a year to its age, Celebrates her Independence Day, so would some entertainers. Mynaijainfo has compiled a list on some Popular Nigerian celebrities that were born on Independence Day. Music legend, Bright Chimezie, was born on the day Nigeria gained its independence on October 1, 1960. His music style became known as Zigima sound, a genre that became popular in the Eastern part of the country in the early 1980s. Chimezie creates his sound from a mix of traditional Nigerian music and igbo highlife fused with chanted vocals. He used it to revolutionise the musical structure in Nigeria with lyrics that focus on social issues of the country in a rather funny way. Kae-Kazim was born two years after Nigeria gained its independence in Lagos, where he spent his early years before his family re-located to London, England. His interest in acting began with school plays and at the National Theatre, where he discovered that he had a love for theatre, for acting. He trained at the Bristol Old Vic Theatre School, graduating in 1987 and was offered a space with The Royal Shakespeare Company, where he continued his classical training. Kae-Kazim is best known for his portrayal of Georges Rutaganda in the 2004 drama film Hotel Rwanda. Jeff Unaegbu is an actor, artist, documentary film maker and the author of eight books. Born in Enugu State, Nigeria, he is the first child of five surviving children to Mr. John Ejike Unaegbu and Mrs. Cecilia Enonanma Unaegbu. He attended the Government Secondary School, Minna in 1990, studying sciences and graduated in 1996. Unaegbu proceeded to Muhanatu Computer Institute, graduating in 2000 with distinctions in Certificate and Diploma in Computer Data Processing. He then attended the University of Nigeria, Nsukka to study Mass Communication. As a student, Unaegbu served as the Editor of the university’s Roar Magazine. He also won faculty and poetry prizes. Nwobodo Daniel Ekene also known as, Kenny Dee, is a Nigerian singer, song writer, performer, entertainer and recording artist. He was born 1st October 1990 to a family of four. Kenny Dee started his career in music in Enugu where he worked with Flavour Nabania and moved to Abuja to join the rap group called GG HAT, meaning, Ghetto Guys in Harmony and Advocate Thrillers. Interestingly, popular singer and Project Fame judge, Praiz, was the official producer in his studio located in Kaduna. He later moved to Lagos in 2012 in his pursuit of greener pastures. Ogiri is a Nigerian actress and musician. She has featured in movies like ‘Okon’s Wedding,’ ‘Cry with me,’ among others. The actress survived a fatal accident in 2013.